Executives from plants in Lebanon and Saudi Arabia will travel to the annual trade fair for plastics and rubber in Dusseldorf, Germany from 27 October – 3 November 2010. K 2010 brings together companies from all over the world. At K 2010, a special presentation will discuss how plastics can contribute to solving important problems and what potential visionary applications of today will become reality after 2 decades. Vinifest 2010, third edition, is scheduled from 27 - 30 October 2010 in Beirut, Lebanon, one of the oldest wine production sites in the world. Wine growers, exporters and all alcoholic beverage producers in this vibrant community are invited to visit Unipak at Vinifest 2010. The corrugated packaging manufacturer will exhibit at Booth Batroon 4 at the Beirut Hippodrome (Hippodrome du Parc de Beyrouth) on Abdallah Al-Yafi Avenue. Vinifest 2010, an event-filled four-day festival, brings together Lebanese wine producers, wine makers, wine lovers, and great entertainment. Unipak, located in Halat, Lebanon, will showcase its range of products for packing, promoting, and exporting wine and other alcoholic beverage products, including promotional cartons, retail ready packaging and corrugated boxes. Beirut, Lebanon will host the annual conference at the General Union of Chambers of Commerce from 27-28 October 2010. Maher Dabbous, INDEVCO Flexible Packaging Market Development Director, will present Innovative Beverage Packaging Technologies at Arab Beverage Conference 2010. The Arab Beverage Conference promotes the Arabian Gulf and Middle Eastern beverage industry, familiarizing participants with the latest advancements, equipment, and packaging, as well as opportunities presented by the new technologies. The conference is organized by the General Union of the Chambers of Commerce, Industry, and Agriculture of the Arab Countries (GUCCIAAC), in collaboration with the Arab Beverage Association and the Arab Federation for Food Industries. MASTERPAK begins production of machine stretch with very high elongation up to 350%. MASTERPAK in Zouk Mosbeh, Lebanon began production of machine stretch/power pre-stretch with elongation up to 350%, in August 2010. 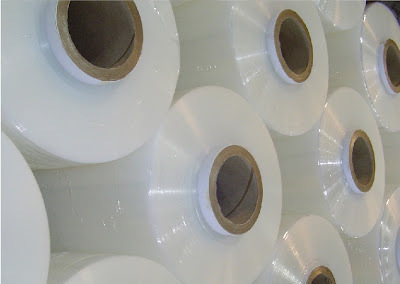 The Lebanese polyethylene film manufacture has previously produced machine stretch with up to 300% pre-stretch ratio. 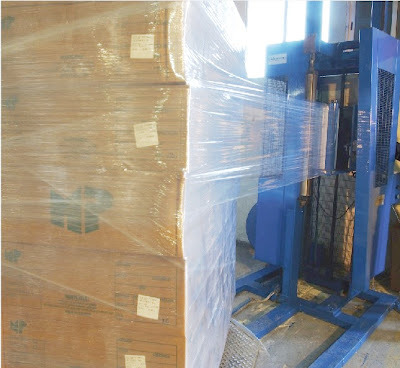 “We developed this machine stretch/power pre-stretch with very high elongation to meet the growing demand in the European and British markets for a more powerful stretch film that stretches to above 300%. The new and improved machine stretch/power pre-stretch film has a pre-stretch ratio of above 300% rather than the previous ratio of above 250%. Furthermore, its tensile strength has increased, the force required to reach breaking point is higher, thus the film is stronger and can handle heavier loads. Also, the power pre-stretch film has higher elongation, tear resistance, and cling ability. It is more elastic and can stretch farther, it can withstand punctures and can hold products more securely. MASTERPAK produces manual, machine and power pre-stretch film as clear, colored, tinted or opaque and in a complete range of gauges, sizes and performance options. MASTERPAK is a member of INDEVCO Flexible Packaging a division of INDEVCO Group, the ‘Local Multinational of the Middle East’. INDEVCO Flexible Packaging marketing professionals focus on content marketing for global reach. INDEVCO Online Communication Unit organized a two-day INDEVCO Flexible Packaging Marketing Meet-Up on 13-14 September 2010. The event was held at INDEVCO international headquarters in Ajaltoun, Lebanon. The goal of the meet-up was to audit prospect and customer databases and existing marketing communication tools used by Napco flexible packaging plants in Saudi Arabia. Marketing responsibles then explored how they can build content hubs to help international B2B buyers make informed purchase decisions. Taking a content marketing approach, the marketing responsibles will develop relevant information for buyers and influencers at various stages of the purchase cycle and communicate those messages across print, electronic and online channels. In addition to INDEVCO Online Communications Unit, other members of the group's divisions, service departments and companies participated, including INDEVCO Learning & Development, INDEVCO Lead Generation Unit and Mediapak media agency. Dr. E. Feghali, Director of INDEVCO Online Communications Unit, welcomed participants, explained unit services and introduced the topics to be covered throughout the meet-up. Members of the unit facilitated sessions in their areas of expertise. The meet-up centered around the need for up-to-date prospect and customer databases as a foundation for marketing activities and lead management. "It is important to classify possible difficulties in order to have data quality. Difficulties are validity, completeness, consistency, and correctness. It is essential to respect these triggers because corrections in later stages might be hard, inflexible, expensive and sometimes impossible. Being stringent in collecting and entering correct data will facilitate and simplify the process of any Customer Relationship Management (CRM) activity." Participants audited existing marketing communications materials during this session. The session taught participants how to set up a content hub for identifying messages and channels for buyers in various stages of the purchase cycle. Participants learned to integrate the content audit and target messages to attract prospects and customers through a range of online,electronic, and print communication channels. The final session of the day identified web-traffic metrics for measuring return on marketing activities. Through online analytics, companies track what information prospects and customers search for and how they use websites. The second day began by discussing the importance of promoting one unified corporate identity and re-enforcing across all back-office communication, news and social media. Effective back office communication creates professional and efficient responses. Marketing responsibles learned how to communicate to prospects and customers and what message to convey at the various touch points (points of contact). Participants discussed the significance of communicating news to prospects and customers, as well as among affiliates. Furthermore, they covered the different channels to direct news: OUTBOUND e-newsletter, online corporate press releases, and intranet. Marketing responsibles learned how to use social media channels such as Linked In, Youtube, and Facebook for lead prospecting and relevant content.Social media is an innovative way to channel information and communication with customers and prospects. "The goal of this meet-up was to focus on a marketing oriented mindset. We are trying to see what market needs are and implement our strategty accordingly. This step would not be possible without our marketers representing our eyes and ears. Thus this marketing meet-up helped us take a step towards removing the old school of thought and moving towards our goal to be in tune with and to better understand market needs." INDEVCO Online Communications Unit services include campaign management, search engine optimization, online marketing and advertising, news content and online PR submissions, web development, optimizing of online business processes, and online analytics. On the 13-14 September 2010, INDEVCO Flexible Packaging marketing managers and responsibles partook in Marketing Meet-Up held at INDEVCO headquarters in Ajaltoun, Lebanon.